What do you get when you mix candy corn with a Keep Calm fanatic? 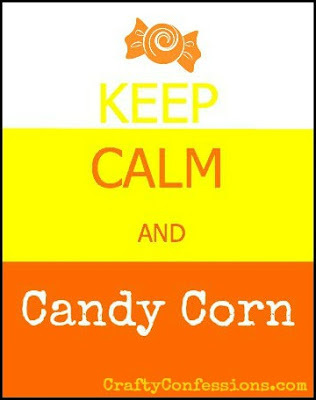 A "Keep Calm and Candy Corn" printable from your's truly! In honor of my SWEET boy's birthday I am posting this printable that is sweet and fun...just like my Philly. The actual printable will not have "CraftyConfessions.com" in the corner. I just need to protect my stuff from crazy pirates, matey! This is so cute! I love it! I hope you'll add it to my Wickedly Creative Halloween Ideas Party.